With every unit residents enjoy . . .
Council Gardens is nestled in a residential area close to recreation, parks, shops, newly developed townhouse communities, and synagogues and is directly on two major bus lines. Across the street are a post office, City Hall, the police station, and medical offices; next door is the fire station. 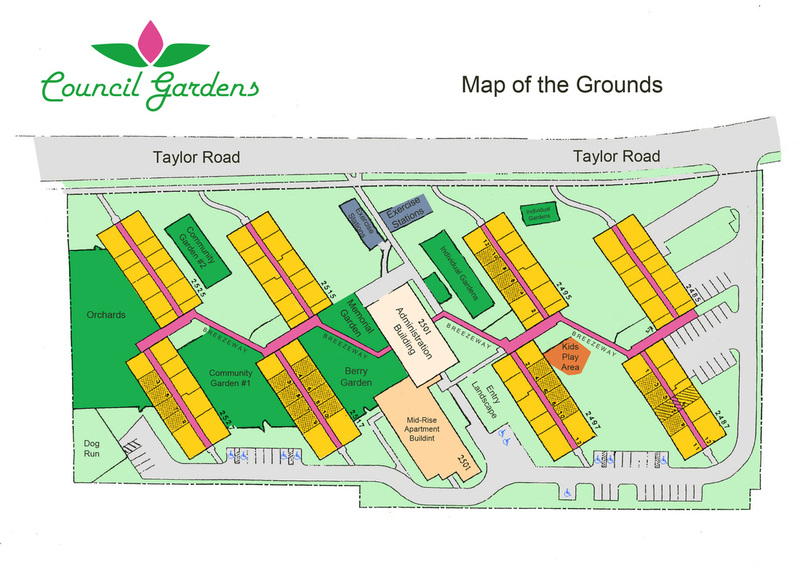 Below is a map of the Grounds.